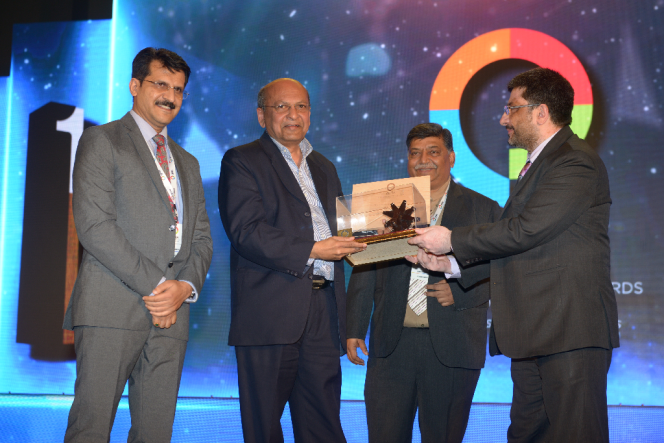 San Jose, CA, April 16, 2014 – India based enterprise solutions provider – Rishabh Software, has been acknowledged with the ‘Trend Setter’ award for Innovation in Software Technology category by the Gujarat Innovation Society (GIS) at its 3rd foundation day ceremony on April 15, 2014. 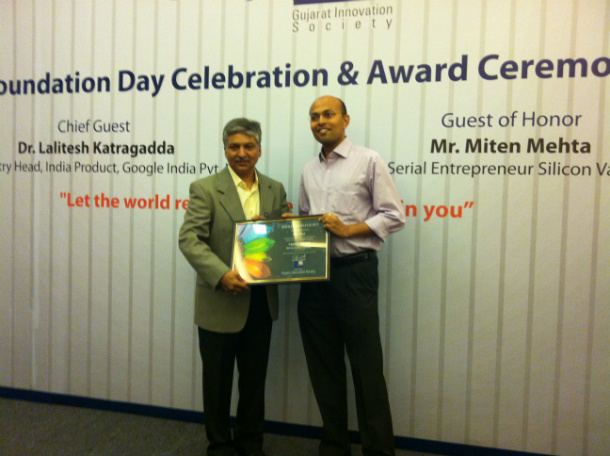 This year, Rishabh Software has been recognized for its innovation and contribution towards the society. GIS founded by Gujarat’s Chief Minister – Shri Narendra Modi, aims to promote and cultivate the culture of Innovation in day to day life of each and every person. GIS awards acknowledge, motivate and encourage excellence & innovation in the ICT sector in the state of Gujarat. The GIS awards are adjudicated by an eminent panel of intellectuals and experts spanning across industry verticals, academicians and industry analysts. About GIS: (www.gisindia.org.in) Gujarat Innovation Society (GIS) was founded on 15th April, 2011 under the visionary leadership of Chief Minister of Gujarat – Shri. Narendra Modi. GIS is focused towards innovators, innovation and developing innovative culture in industry, so that day to day activities and problems could be solved out in a simple & Innovative way. About Rishabh Software: (www.rishabhsoft.com) Rishabh Software is a CMMI Level 3 company, providing services in Software Development, Business Process Outsourcing (BPO) and Engineering Services Outsourcing (ESO). 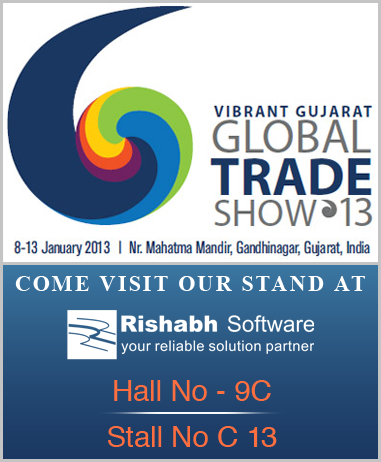 Rishabh Software, with offices located in US, UK and India, partners with clients to provide customized solutions. From enterprise mobile app development to cloud integration to delivering open source solutions, Rishabh Software understands its client’s business need, and suggests the best possible strategy & solutions. Visit: www.rishabhsoft.com or call 1-877-RISHABH (1-877-747-4224) to learn more about our services and enterprise solutions.